Industrial Arts is located in a pre-Civil War textile factory in Garnerville, New York. 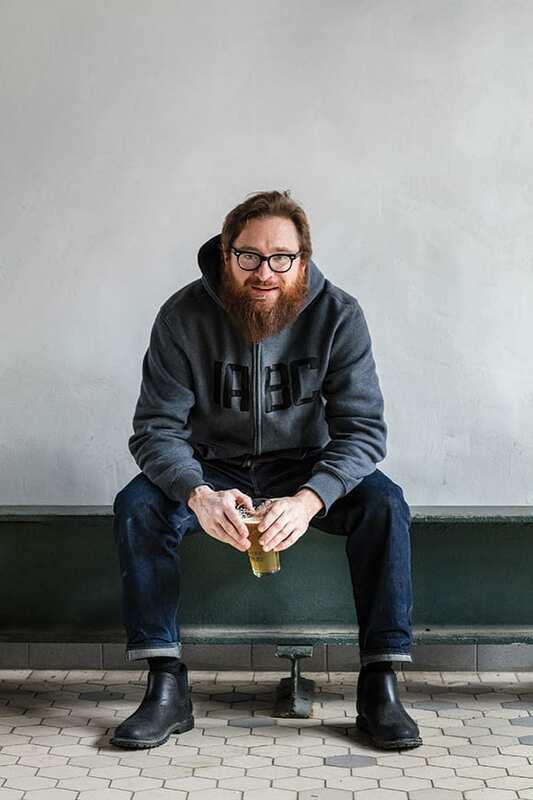 Owner Jeff O'Neil formerly brewed at New York’s Ithaca Beer and Peekskill Brewing. 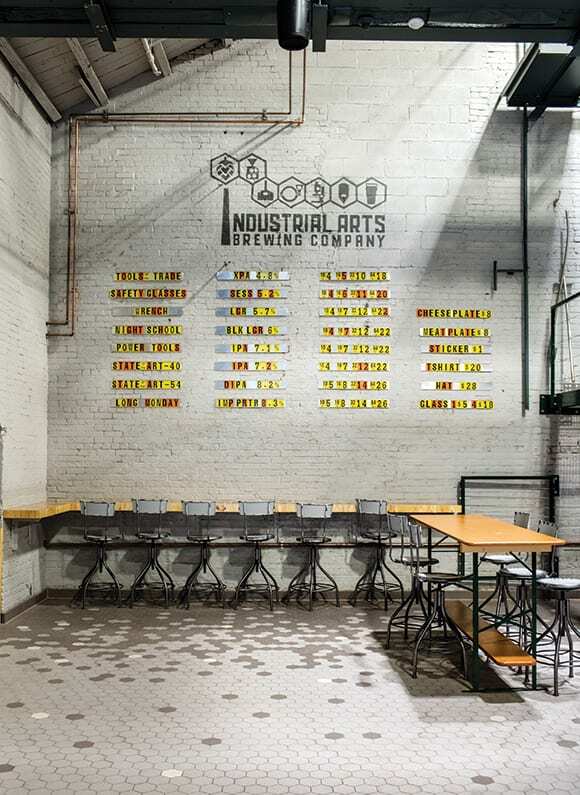 Jeff O'Neil orchestrated the renovation from start to finish, working in modern industrial elements to contrast the bones of the old factory building. Jef O'Neil and Mike McManus inside the brewery. 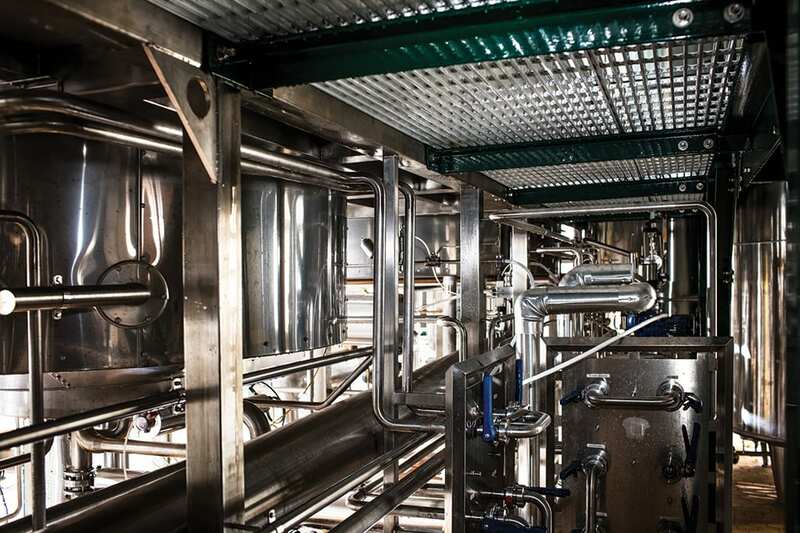 The brewery spans two buildings, separated by a creek and connected with pipelines. It's a large operation, allowing the company plenty of room to grow. 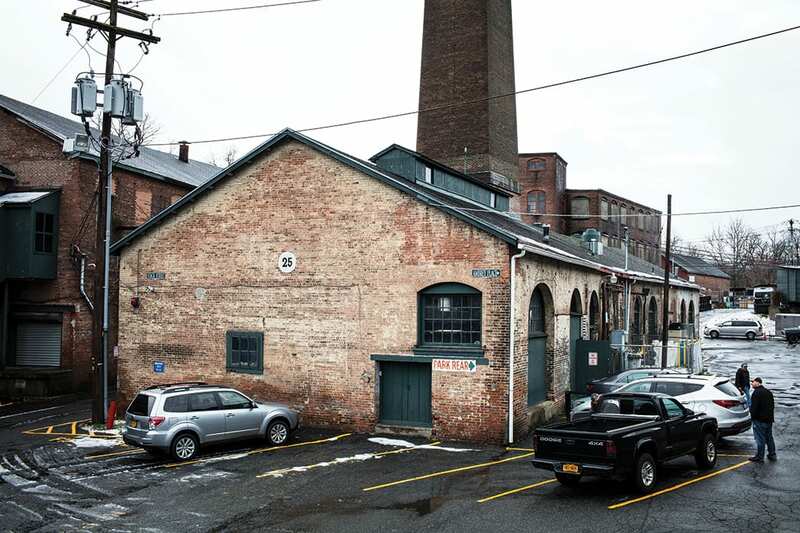 It’s not unusual for small breweries to set up shop in nondescript warehouses, but the building that houses Industrial Arts Brewing Company in Garnerville, New York has an intriguing backstory. An old industrial smokestack marks the location, signaling the building’s history as pre-Civil War textile factory. 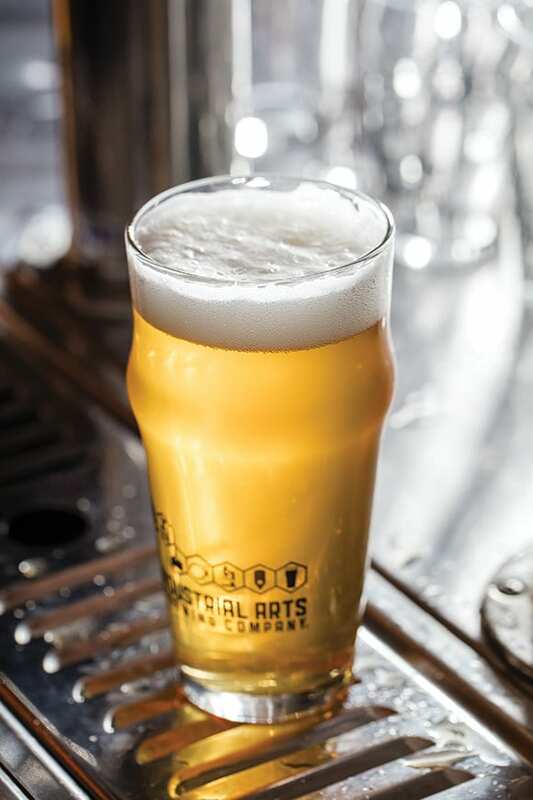 Located in the mixed-use Garnerville Arts and Industrial Complex, the brewery is the latest project from Jeff O’Neil, former brewer at New York’s Ithaca Beer and Peekskill Brewing. “The whole vibe of the place is so great. 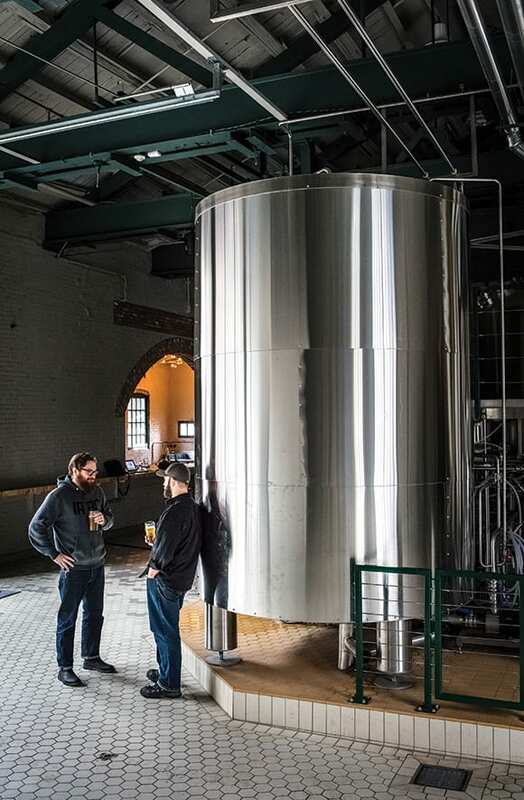 It’s dripping with history, and it looks like a pre-Prohibition brewery,” O’Neil says. On the beer side, O’Neil and brewmaster Mike Mcmanus (formerly of Ommegang) are focused on using the best ingredients available to make “fresh, clean, hoppy beers, particularly ones at lower alcohol strength and higher quaffability,” he says, citing the snappy, tropical Tools of the Trade extra pale ale and rotating State of the Art IPA series as good examples of their philosophy. “You know when they’re made well because you never want to stop drinking them, and you don’t necessarily need to,” he says. 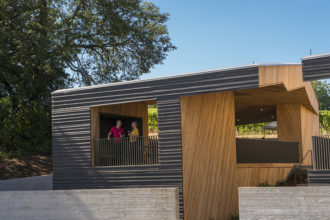 Get a peek at Sokol Blosser Winery’s stunning tasting room designed by Allied Works.